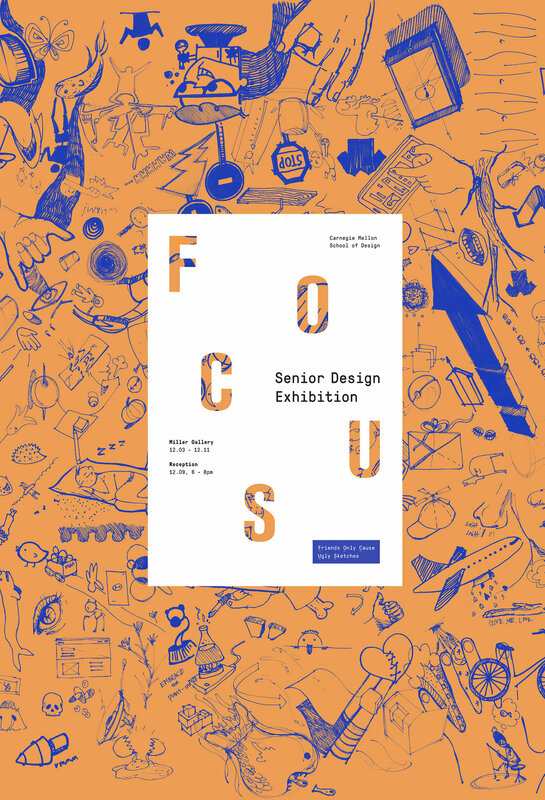 FOCUS is the senior design exhibition of the Carnegie Mellon University School of Design class of 2017. The week-long exhibition, installed at the Miller Gallery in Pittsburgh, showcased design works done by every student in the class, and it was curated, branded and built by the collective effort of the class itself. More photos of the exhibition to come.